Nuʻuanu. 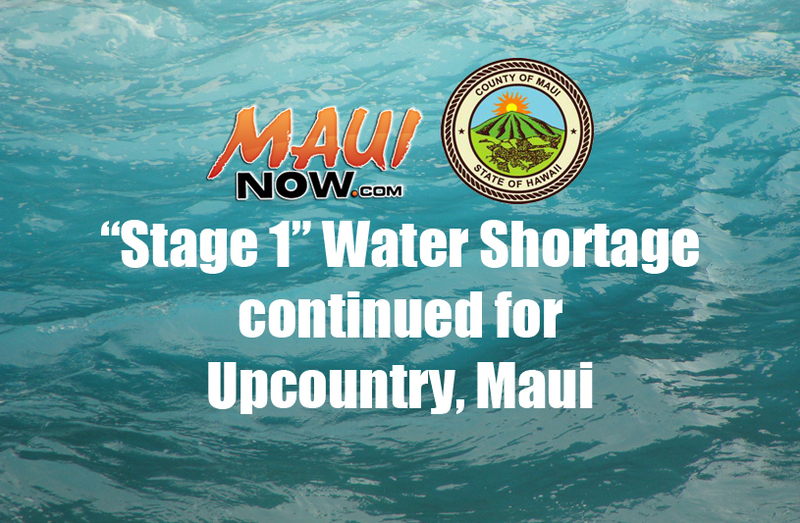 PC: Honolulu Board of Water Supply. 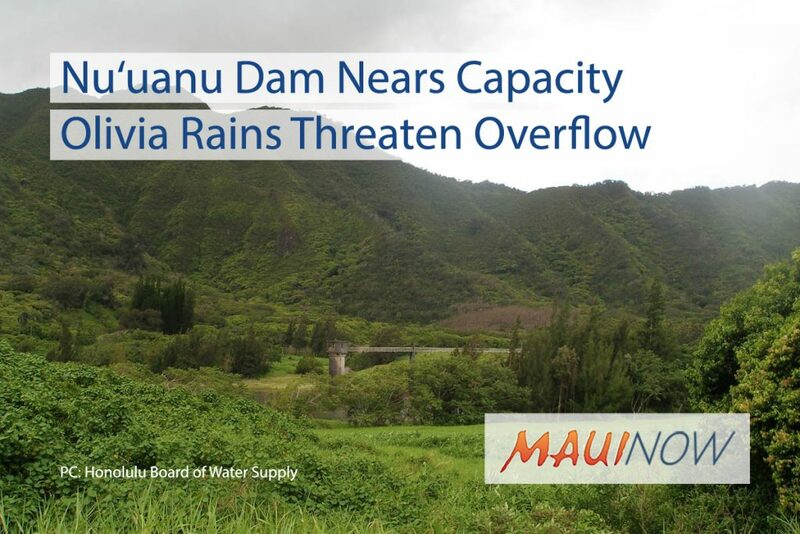 The Nuʻuanu Dam #1 is about a 1.5 feet below the spillway due to the amount of rain brought on by former Tropical Storm Olivia. 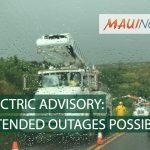 The Honolulu Board of Water Supply has been monitoring and siphoning the excess water from the reservoir since the beginning of the week to keep the water level below the spillway; however, with the passing of Olivia, the rain exceeded the siphoning capacity. Department personnel and crews from the Honolulu Fire Department are currently deployed at the dam with water pumps to bring the level of the reservoir down further. 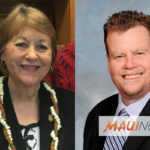 Water personnel are working with the Honolulu Mayor’s Office and the Department of Emergency Management to coordinate the operations plan, which includes public evacuation notification and sheltering if needed. Approximately 10,000 residents would be affected. Meantime, a flash flood warning in effect for Oʻahu until 12 p.m.